← Thank you, #March For Our Lives! Posted on May 24, 2018 by unexpectedincommonhours	• This entry was posted in AV Fistula, pediatric neurosurgery and tagged #BenStrong, Arteriovenous fistula, AV fistula, brain surgery, pediatric neurosurgery, vascular malformation, vascular neurosurgery. Bookmark the permalink. For my newer readers….Grandson Ben is a bright, loving, eight-year-old who at the age of three was found to have an arteriovenous fistula in the brain. This is a rare and dangerous congenital disorder in which there is an abnormal connection between an artery and a vein. It causes pressure to build up in the brain, and in Ben’s case, also behind one eye. An AV fistula can lead to physical and mental regression and ultimately to death. 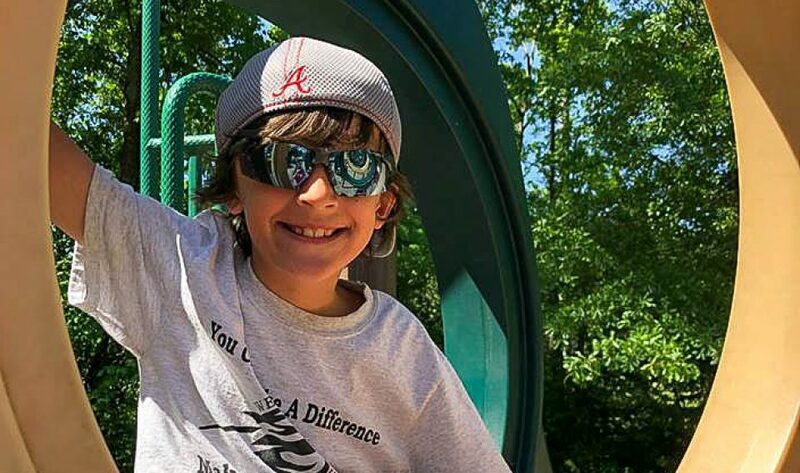 In May 2014, Ben and his parents flew from Georgia to New York City where he had two brain surgeries within a week. In the first surgery, 18 tiny platinum coils were placed in the fistula, slowing the abnormal blood flow. In the second surgery, medical-grade superglue was used to completely close off the fistula. A year later when the family traveled to New York for Ben’s first annual checkup, Ben’s doctor (Dr. Alejandro Berenstein) discovered that the fistula had re-opened, and another fistula had formed. Ben’s condition was life threatening. Another surgery had to be done. In June 2016, after the second annual checkup Dr. Berenstein declared Ben to be cured! The original fistula is completely closed, and the fistula that formed the previous year is gone as a result of decreased pressure in Ben’s brain. We are so grateful for Dr. Berenstein and his medical team, for the Ronald McDonald House in New York, and for all of our family, friends, and blogging acquaintances who have followed Ben’s story and held him in your thoughts and prayers. LOVE– LOVE–LOVE–LOVE–LOVE–LOVE—- THANK YOU JESUS!!!! Thank you!! We praise God for this little boy and for his love for Jesus. God has great things in store for him! Happy belated birthday young man – the future holds great things in store for you! Yes, he has grown, in many ways! Thank you for the birthday wishes. We do believe he has a great future ahead! Wow what an inspiring family and special boy! Such a miracle! Thank you! He really is our miracle boy!